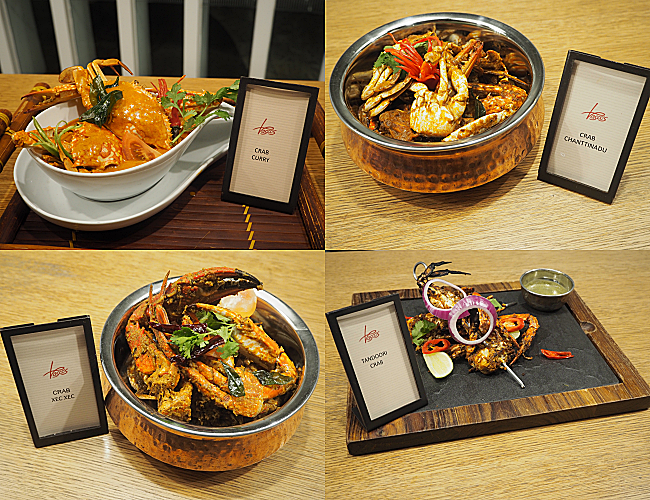 Hilton Kuala Lumpur will be bringing guests on a crustacean journey at its all-day dining restaurant, Vasco’s. For the whole month of April, seafood lovers will be treated to an array of authentic crab dishes prepared with fresh crabmeat and roe to enjoy. Available for dinner, Vasco’s will be serving a mix of robust flavours from different cuisines such as Indian, Malay, Chinese, Japanese and even a live tom yam cooking station using four different crabs; blue swimmer crabs, flower crabs, baby crabs and soft shell crabs. Dinner: 6:00pm – 10:30pm; RM 178 nett per person (add on RM 100 for Vasco’s beverage package which includes tiger beer, selected house wine and soft drinks). Begin the crab journey at Vasco’s with cold starters such as the Flower Crabs on Ice, Crab Salmon Rolls or a Malay-style crab salad called Kerabu Ketam with Avocado before heating things up with a warm bowl of tom yam soup with a choice of having either the Blue Swimmer Crab or Flower Crab. Head on over to the Chinese section of the restaurant for traditional Chinese-style crab dishes, which includes Kam Heong Crab and Stir Fried Crab with Chili Bean Sauce for diners who seek to, continue the spicy adventure. For soup lovers, the Chinese section will also be preparing a braised crabmeat soup to enjoy in a bowlful. Try out the Malay section next where diners will be able to find authentic Malay-style Crab Curry or the Crab and Pineapple cooked with coconut gravy. For fried options, the Malay section will be offering Crispy Baby Crab with Vasco’s special sauce on the side. Finally, be sure to check out the Indian section for a range of aromatic crab dishes such as Goan Crab Curry, Crab Chanttinadu, and Crab cooked in Tandoori style. As part of its Travel with Purpose commitment, Hilton Kuala Lumpur ensures that its seafood supply is responsibly sourced so that every item bought, sourced, used and served is managed in a responsible manner to help preserve the environment. For the Crab Chow Down promotion, Vasco’s will procurement crab locally to support businesses from the coasts of Sarawak and Straits of Johor. JQ Lee talks and writes for a living. That's because she loves sharing interesting things to the world. With a Degree in Communication and Media Management, this petite Gen-Y will not stop chasing her passion in writing and broadcasting. She dreams to host a travel show and be a radio announcer someday, hopefully soon. Collect Limited Edition Heineken® Trophy Bottles & Cans, Win An All-inclusive Trip To Madrid For The Uefa Champions League Final, Among Other Exciting Prizes And Discover The Heineken® Extra Time Zones Around The Country. Audio Accessories And Beers Up For Grabs From April To June! Enjoy A Special Deal Of Rm1.90 Nett Which Will Take Place On The 19th Of Every Month Only.